Keto Diet Dogs Cancer: Is It Good, Bad, Or a Maybe? Home » Articles » Full Spectrum Cancer Care » Full Spectrum Cancer Care Step 4: The Dog Cancer Diet » Keto Diet Dogs Cancer … Good Idea or Bad Idea? Keto Diet Dogs Cancer … Good Idea or Bad Idea? 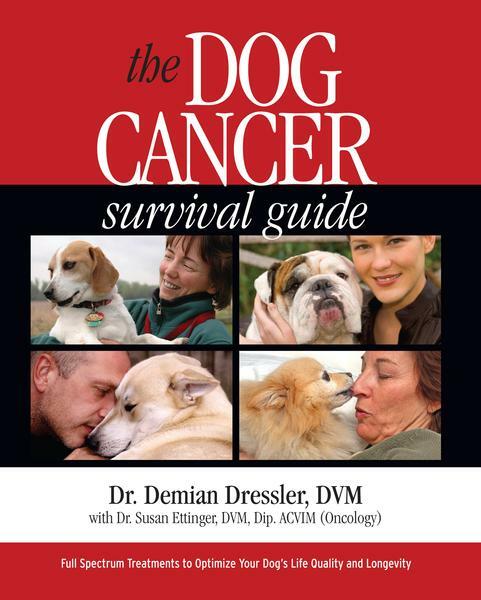 Dr. Demian Dressler is internationally recognized as “the dog cancer vet” because of his innovations in the field of dog cancer management, and the popularity of his blog here at Dog Cancer Blog. The owner of South Shore Veterinary Care, a full-service veterinary hospital in Maui, Hawaii, Dr. Dressler studied Animal Physiology and received a Bachelor of Science degree from the University of California at Davis before earning his Doctorate in Veterinary Medicine from Cornell University. After practicing at Killewald Animal Hospital in Amherst, New York, he returned to his home state, Hawaii, to practice at the East Honolulu Pet Hospital before heading home to Maui to open his own hospital. Dr. Dressler consults both dog lovers and veterinary professionals, and is sought after as a speaker on topics ranging from the links between lifestyle choices and disease, nutrition and cancer, and animal ethics. His television appearances include “Ask the Vet” segments on local news programs. He is the author of The Dog Cancer Survival Guide: Full Spectrum Treatments to Optimize Your Dog’s Life Quality and Longevity. He is a member of the American Veterinary Medical Association, the Hawaii Veterinary Medical Association, the American Association of Avian Veterinarians, the National Animal Supplement Council and CORE (Comparative Orthopedic Research Evaluation). He is also an advisory board member for Pacific Primate Sanctuary. Keto Diet, Dogs, Cancer: is there a benefit in following this diet? Dr. Dressler looks into it. Readers know I recommend a low-carb diet for dogs with cancer because sugar is cancer’s favorite fuel. My guidelines are moderate in fat, moderate in protein, and low in carbohydrate. They’ve been vetted by nutritionists and oncologists, including my co-author, Susan Ettinger, DVM, Dip. ACVIM (Oncology). When given with a multivitamin, your dog’s bodily needs are met. Plus, the diet actively helps the body to fight cancer. So, is the keto diet for dogs with cancer more of the same, or something different? That’s what I’m exploring in this article. A new diet is of great interest to me. After all, I’ve been talking about things a bit alien to veterinarians and oncologists for over a decade. Back in the day, I was personally threatened for some of my ideas … ideas that later caught on with my colleagues. The hostility was surprising at the time. These days, things are quieter. So I’m sympathetic to any new idea that is science-based and might be helpful to dogs with cancer. And I know some readers wonder how these keto diets fit with my dog cancer diet recommendations. In this article, I lay out my thoughts about, and ask a lot of questions about keto diets dogs cancer. Let’s see what we come up with. Keto is short for ketogenic. Essentially, a keto diet, including one for dogs, is high fat, low carbohydrate, and low protein. The idea is to train the body to use fat for fuel, instead of carbohydrates. This body change can be measured by an increase in small molecules called ketones. More ketones in the blood is a by-product of fat metabolism. Rise in ketones in the blood = ketosis = burning fat for fuel. The basic idea being proposed was discussed at length in The Dog Cancer Survival Guide: starve cancer cells of their favorite fuel. Sugar, as well as carbohydrates that break down into sugar, is cancer’s favorite energy source. This was discussed at length in my book: we should starve cancer cells of their favorite fuel. Sugar, as well as carbohydrates that break down into sugar, is cancer’s favorite energy source. This understanding is the basis of my low-carbohydrate diet for dogs with cancer. So, that’s a good feature of the ketogenic diet. But I’m having trouble right off the bat because there are many keto diet recipe variations online. And each variation may have different effects on a dog with cancer. Exactly What Is A Keto Diet for Dog Cancer? Before we decide if a keto diet is good for dogs with cancer, we must define what a keto diet is. This is reasonable. Before we can talk about a subject, we all must be on the same page, right? Definitions should be agreed upon and accepted by a lot of people over some period for them to be of use. Not having a shared understanding of exactly what is meant leads to problems. I can’t tell, with any real specificity, what a keto dogs cancer diet is and what it is not. Most veterinarians have probably heard of the diet by this point. I would bet a fair number are on a keto diet or a version of it themselves. But the situation in dogs is different. The idea of a canine keto diet is still new, and there are so many variations out there, it’s like the wild west. For one, many of the recipes and guidelines online are written by people who lack clinical or nutritional training. I’d like to see a veterinary nutritionist assessing at least one of these recipes. Problems occur when a recipe is missing something, has too much of something, or has wacky ratios. I also can’t tell what the guidelines are. Is it just about restricting carbs, or also about high fat and low proteins? Is it only about going into ketosis (a state where ketones in the blood rise), or is it mostly about raw food? Does creating ketosis by itself give measurable benefit to dogs with cancer? Or are these recipes just repackaged pre-existing ideas? Are we just piggy-backing on the human “keto diet” trend because it is popular right now? Well, this should matter to you as a dog Guardian. For one, you only have one dog, and limited time and resources to treat your dog’s cancer. Before you start cooking, you should know your efforts will have predictable benefits. You also need things to be easy with your vet or oncologist. Things work wayyy better if your vet or oncologist is on board with your pet care choices. Whether you use “conventional” or “alternative” medicine, “Key Opinion Leaders” are the ones who come up with criteria for what a new phrase means. That way we can all research and consistently use it. We need to know what we’re talking about. We need to call a spade a spade. When you tell your vet or oncologist you want to use a specific diet, you need to know why you want to use it. This is true for the dog cancer diet in my book or the keto diet you found online. If you are unsure of the reasoning for the diet or how the recipe will benefit your dog, the clinical person may not respond well. Veterinarians want to be certain about safety and about benefit. When clinical people are uncertain, they often say “No.” They don’t want to say “Yes” to something that might hurt your dog. Knowing exactly what a keto diet is will help you to get on the same page with your vet. So, let’s look at the most obvious feature of a keto diet: ketosis. Is Ketosis Really the Point of These Keto Diets for Dogs? A lot of dog keto diets feature ingredients that have nothing at all to do with ketosis or fat burning. (But they may have other beneficial effects — see below.) Some of the recipes are raw, which can have an impact on the body – and some are not. Is the point of the diet ketosis, or all these other things, or all of it together? I figured I would go to the source to find out how keto diets for dogs work. So I was doing some lecturing this weekend and have been speaking with different people lately about the keto diet, and I’m facing a personal lack of information on the subject. I can’t quite get my head around what we are even talking about. Now I’m attempting to get some clarity, so I thought I would reach out to you with some questions. I’m always interested in using clinical tools, but for a tool to be of use, we have to know what it is and what it isn’t as a starting point. So I thought you might be able to give me your thoughts. How does one define, specifically, whether or not a diet is “keto”? Simply by whether or not it induces ketosis? How are we getting agreement on this definition? Does “ketogenic diet” imply by necessity, “raw diet” or…? I see dry dog foods out there that manufacturers describe with the term “keto”. Do you have data (which I was told you do…??) that indicate ingested, uncooked animal fats do not increase canine pancreatitis risk (and therefore have less pancreatitis or other GI risks than cooked, ingested animal fat)? If so, are you able to provide some info on study design, number of dogs, whether it was a blind study, control groups, results analysis and all that? Does “keto diet” also mean a microbiome strategy is used, as part of that diet, which would have effects apart from inducing ketosis? Does “keto diet” also mean a specific range of omega 6:3 ratios are used, which would have physiologic effects independent from inducing ketosis? Does “keto diet” also mean that certain vegetables are used, which have physiologic effects apart from inducing ketosis (you can see where I am going here)…? Does a “keto diet” mean that a certain amount of medium chain triglycerides are provided in the diet (which would have particular effects separate from ketosis) as opposed to long chain fatty acids? I sent that email back in November 2018. I still haven’t heard back from them. But maybe they will respond so we will see. I’d really like to see what they say. Meanwhile, I’ll just have to forge ahead and try to answer some of my questions myself. What follows is my in-depth analysis of each of the features that might (or might not) benefit a dog with cancer. Ketosis is the relevant focus of keto diets, so it’s probably the best place to start. That means we need to discuss how fat, protein and carbs can be manipulated in the diet to affect dogs with cancer. As mentioned, when the body burns fat instead of carbohydrates there’s a metabolic shift. When the body uses fat as its primary fuel source, little molecules called ketones gather in greater numbers in the blood. That’s called ketosis. Ketosis could be beneficial. We know for sure from a study with dogs, a keto-like diet helped with seizures. So that’s nice, for sure. But why would someone care about ketosis in a cancer diet? In a review of pre-clinical studies, 42% showed that the keto diet helped treat cancer. 29% of the studies showed no effect. And 4% (1 in 24 studies) showed the keto diet promoted cancer growth in humans. The rest of the studies (about 25%), I assume, did not yield quality results for different reasons. Keto diets were especially helpful for brain cancers (glioblastoma and neuroblastoma). They also helped pancreas, colon breast, lung, liver, and stomach cancers. The evidence for breast, stomach and liver cancers was not as strong simply as there was only 1 study done on these. Oddly enough, kidney cancers, at least in rodents, seemed to worsen on a keto diet. Patients with kidney cancer saw accelerated cancer growth. In other kidney cancer patients, the ketogenic diets created side effects. If your dog has kidney cancer, keep that in mind: keto diets might do more harm than good. Unless they find evidence for benefits that outweigh these harms, I do not recommend a keto diet for these doggies. But minus that one cancer type, the keto diet seems promising. But is it really ketosis that is helping? Let’s look a little deeper. There is so much to know. Dr. D’s book is laid out so it’s easy to understand all these complex topics, quickly. We already know that calorie restriction seems to help combat cancer. Calorie restriction also helps get better chemo outcomes in cancer patients. Even though people feel full on keto diets, they tend to be lower in calories. Are keto diets suggested in part because they naturally restrict calories? Wait: not so fast. Calorie restriction is not in itself a good thing when it comes to dogs with cancer. Overweight and obese dogs who eat well might benefit from calorie restriction. They might make more of a cancer-fighting hormone called adiponectin. Leaner bodies = more adiponectin = fighting cancer. So, for overweight dogs, calorie restriction could be good. But a lot of dogs with cancer are too thin, because of cancer cachexia (weight loss). The illness is already “dieting” the dog. So, restricting calories further does NOT make a lot of sense. We need to be thoughtful here. Tip: For your dog with cancer, you’ll want to ask your vet whether his weight is normal, over, or under. If your pup is overweight and still has good energy, go ahead and feed fewer calories. Reweigh 1-2 times a week to monitor his progress and don’t go below your vet’s recommendation for your specific dog. Is It the High Fat/Low-Carb Combo? In human cancer patients, shifting to a restricted carbohydrate diet makes a difference. If 92-93% of the calories are from fat, anti-cancer benefits are seen in humans. Remember, we are not restricting calories. In fact, calorie counting doesn’t come into this at all. Instead, we are restricting carbs. The anti-cancer effect of a carb-restricted diet is the basis for my dog cancer diet. Is It the Type of Fat? Human keto diets feature lots of fat, and lots of different types of fat: animal fat, nuts, oils, etc. The type of fat may matter: human cancer patients benefited from keto diets with 25% of fat from medium chain triglycerides. Medium chain triglycerides (MCTs) convert to energy easier than other (long chain) fats. That means the body doesn’t store MCTs as fat as often as it stores long chain fats. More MCTs = less likely to gain fat. That’s good because leaner bodies tend to make more adiponectin. There is a lot more to say about MCT’s. For now, I’ll say that giving medium chain triglycerides might help some of our dogs with cancer. But we need to be smart about this. We need more experience and studies before we make an across-the-board recommendation. The good news for what I’ve seen in the canine keto diet recipes, is they lean towards using fats that are “healthier.” Avocado, coconut oil, palm oil, and milk fat, for example. Coconut oil and palm oil have more medium chain triglycerides. Avocado fats are also unsaturated, so they are considered “better.” Milk fats increase “healthy” cholesterol used to make necessary hormones. Is It the Raw, “Natural” Food? A lot of keto proponents say that this is a “natural diet,” one that dogs are designed to eat. They recommend raw food, including high levels of raw fats. Right off the bat, I have to say that conflicts with the idea of what “natural” is for a dog. Dogs in nature never eat a consistently high-fat diet. Dogs in nature don’t have access to a high-fat diet, because none of the usual prey animals in nature are fat. Think about a deer or a rabbit. There is a lot of fluff on a rabbit, but not a lot of fat. A high fat diet is not “natural” for dogs. I suppose some dogs may have eaten seals or managed to get some oily salmon. Maybe a dog or two snacked on some whale blubber somehow. But these would be pretty rare circumstances. And the Keto Diet for dogs means high fat for extended periods. In my opinion, that’s not “natural” for a dog. But I can get over that. If I believed the best way to get things done was how it was 40,000 years ago, I’d live in a cave and would not shower, or type. So, whatever “natural” means, I don’t think it is all that useful for us here. And I’ll save the discussion of “biologically appropriate” for another day. But let’s assume that “keto” = “raw” when it comes to dog keto diets. Veterinary professionals use private forums to chat and consult with each other. A big complaint from nutritionists about high-fat diets for a dog is the pancreatitis risk. This is true whether the fat is raw or not, from animal or plant. I’ve treated plenty of dogs with major problems from high-fat meals. That is a fact. The biggies I’ve seen are colitis, hemorrhagic gastroenteritis, pancreatitis, and gastritis. Some of these were serious cases. Here’s another fact: plenty of dogs eat fatty meals and are quite happy about the whole thing and have no problem at all. In most cases, the dogs I’ve hospitalized for high-fat problems had other problems as well. Some had allergies, and some had “intolerances.” Some had genetic issues (Schnauzers with pancreatitis tendencies, Boxers with colitis tendencies). Some had acid reflux. Some were anxiety-prone, and some had bacterial imbalances in their intestines. Now the rumor mill tells me that high fat, if raw, does not create these problems. You may have heard this, too. Well, initially, that seems suspect to me. The veterinary clinical nutritionists I consult with definitely disagree with this claim. This is one of the reasons I’m not recommending high fat at this time. Not until I know there is a way to prevent what I have seen. It’s not that I am at all opposed to the idea, I just want to be safe. Keep in mind that I write for the general public. I’m not consulting you, and I’m never making specific recommendations for individual dogs. What I would recommend for one dog could be different from what I would recommend for another dog. If your veterinarian thinks a keto diet is good for your dog, I’d say try it! I don’t make across-the-board recommendations. Not unless I am certain that my advice is safe for most dogs. At this time, I’m not convinced that the high levels of fat found in ketogenic diets are healthy for most dogs. They might be tolerated by some dogs, but not by enough dogs to make a solid recommendation. Is It Vegetables? Fish Oils? Keto diets for dog cancer often include broccoli, Won Bok, or Brussels sprouts. Some also include ginger, shiitake, or a little garlic. Often they include fatty acids like fish oil or krill oil. We’ve known for a long time that these foods have the potential to help slow the growth of cancer cells. That’s why they have always been included in my dog cancer diet. Are these veggies and oils specifically ketosis-inducing? Is that why they are included? Is The Keto Diet Dogs Cancer Diet Really New, or Just Repackaged? How is the keto diet different from a low-carbohydrate diet? It seems clear that the “canine keto diets” are a kind of “canine low carbohydrate diet.” Except you have to add blood testing to document the ketones are going up. After all, if the blood ketones aren’t increased, the diet isn’t inducing ketosis. To tell whether a dog’s body is producing more ketones (and limiting its blood sugar), you would need to test the blood. Testing blood at home is not a lot of fun for most guardians. High Blood Ketones: Good, or Bad? Manipulating the diet to increase ketones in the blood may have anti-cancer effects, up to a point. That’s because normal body cells can use ketones for fuel after a few days of transition … but cancer cells are incapable of this shift (most of the time). That’s why having more ketones, and fewer sugars and starches, starves cancer cells. In cases where increased blood ketones and benefits are seen, it may be due to this starvation effect. However, all is not rosy. There is also data that ketones, in some cases, stimulate cancer cell growth. That probably deserves repeating. Ketones, in some cases, stimulate cancer cell growth. Take a look here, here, and here. Also, consider: diabetics tend to have high blood ketones and increased cancer rates. Overall, my feeling is mixed. Increasing blood ketones, which is what must define a canine keto diet, may or may not be of benefit in and of itself. Does it offer benefits above and beyond carbohydrate restriction? These recipes also use other anti-cancer food strategies. Does the increased blood ketone level offer more benefits than the use of those foods? A keto diet may help some dogs that can tolerate calorie restriction and high-fat levels. But I’m not convinced it is a good cookie cutter strategy for dog cancer, for the reasons presented here. Carbohydrate restriction makes sense for many dogs with cancer who have not yet lost weight. Probiotics and prebiotics make sense. More dietary fat makes sense most of the time. Not using high heat in food preparation makes sense. Avoiding pesticides and herbicides and inflammation-creating food ingredients all make sense. Using digestive enzymes make sense. These strategies are research-backed and have been benefitting dogs and people “in the field.” These are the strategies used in the book Dr. Susan Ettinger and I wrote. And don’t forget to check with your vet if you are making changes in your dog’s diet, as each dog is different. I’ve had this question for several years now so thanks for this incredibly well written article, particularly the references. I work at a lab and have full access to the complete publication via DOI so going to the source is helpful.